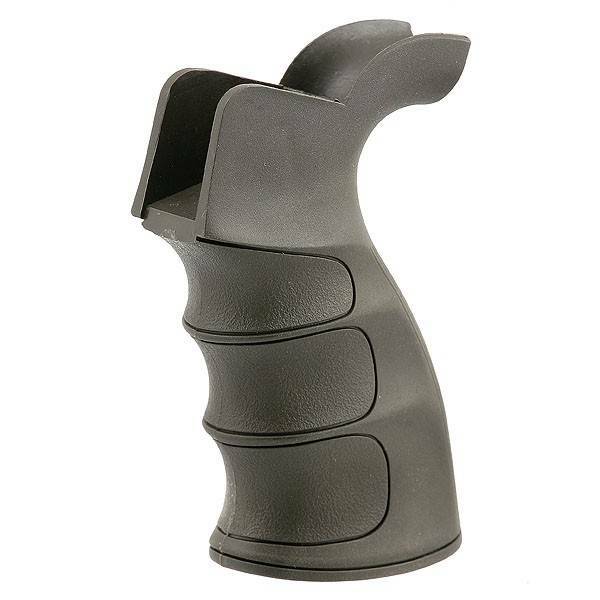 - G27 Enhanced Pistol Grip. - Constructed with Fiber Reinforced Polymer. - Replace standard pistol grip of M-Series Airsoft Electric Gun. - Infixed metal screw nuts for superb durability. - Avoid motor base cover loosen. - Rush grip surface makes user grasp the AEG with comfort. - Ideal for Tokyo Marui or other compatible Hi-Performance motors.